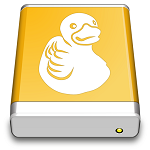 Description: Mountain Duck lets you mount server and cloud storage as a disk on your desktop. Open remote files with any application and work like on a local volume without synchronising files. Based on the solid open source foundation of Cyberduck, all major protocols are supported to connect to just about any server you want, including FTP, SFTP, WebDAV, Azure Cloud Storage, Amazon S3, Google Cloud Storage, Google Drive, Dropbox, Backblaze B2 & OpenStack Swift. Transfer files using Finder to remote servers, fast. 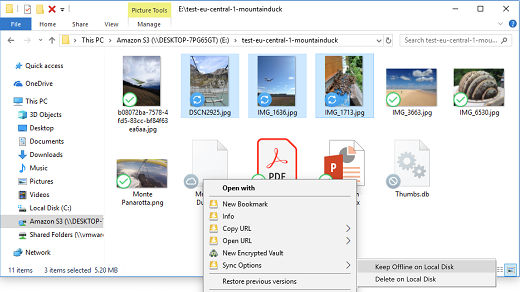 Mountain Duck is a nifty app that can make it a lot easier to manage your cloud storage accounts and FTP, SFTP or WebDAV servers, as it enables you to mount them as local volumes and transfer files using Finder. Your bookmarks can be configured and accessed from Mountain Duck’s menu bar icon whenever you want to disconnect from a server, open its volume in Finder or remove it altogether.